Wrinkles, including deep wrinkles, is a common skin condition that all patients will eventually experience. Wrinkles, including deep wrinkles, is a common skin condition that all patients will eventually experience. Deep wrinkles do not carry any health risk but may cause self esteem and emotional stress on some patients. Although challenging to treat long term, patients do have several options based on the severity and location of the wrinkle. It has been a long held belief that wrinkle formation was arbitrary and that they were caused due to constant creasing and wrinkles of the face. For example, constantly furrowing your brow will eventually lead to creases on the brow. Varying factors are associated with the formation of wrinkles. These include exposure to UV light with results in decrease of elastic fibers and cell turnover. Volume loss of adipose tissue due to aging is a major factor in skin wrinkling. Finally, level of facial expressions play a key role. A recent study has discovered the UV light results to damage of the cutaneous lymphatic vessels. Furthermore, other studies have shown that wrinkle formation is not arbitrary and that wrinkles form surrounding the lymphatic vessels. 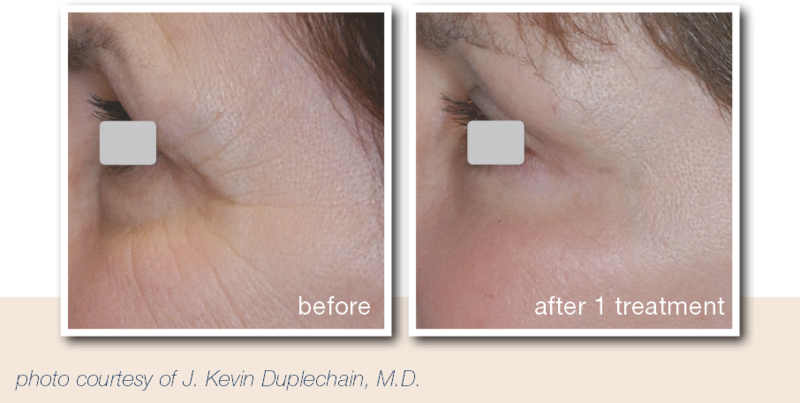 This leads researchers to believe that damage to these vessels may play an important role in wrinkle formation. Deep wrinkle treatment is a long term problem that requires consistent and a long term solution. Although treatments like Botox and fillers may help temporarily soften deep wrinkles, it is very challenging to completely erase the wrinkle or to make significant reduction. Since the wrinkle is already creased in the skin, the mechanism of treatment will have to involve stimulating the patient's skin to produce new collagen and new elastin fibers. This is done by applying controlled damage to skin using fractionated and/or ablative lasers.